One of the most popular places that guests love to explore and enjoy on every Walt Disney World vacation is Epcot. The park is unique in that there are two different halves for guests to explore and have two different experiences in. Future World is home to some thrilling and classic attractions that bring technology and nature together and World Showcase allows guests to travel the world through eleven different pavilions that each celebrate a different country. Part of what makes Epcot so amazing are its countless dining locations which serve up all sorts of different cuisines and flavors in both their food and beverage options. Guests who are looking to enjoy alcoholic beverages definitely have tons of options to choose from in Epcot, and there are some drinks that are so good they simply cannot be missed. Here are the ten best alcoholic beverages to enjoy in Epcot on your next Walt Disney World vacation! One of the most popular dining locations that guest love to enjoy in Epcot can be found inside the massive pyramid in the Mexico Pavilion in World Showcase. La Cave del Tequila highlights the many different varieties and flavors of tequila and also serves up some specialty margaritas that feature unique ingredients. Guests love ordering the Blood Orange Margarita which combines the bold flavor and color of the fruit with smooth tequila. The France Pavilion in Epcot’s World Showcase is home to several dining locations including a popular quick service cart in the front of the pavilion along the shores of World Showcase Lagoon. Les Vins des Chefs de France is open from eleven in the morning on each day in Epcot and serves up an array of beverages unique to France. 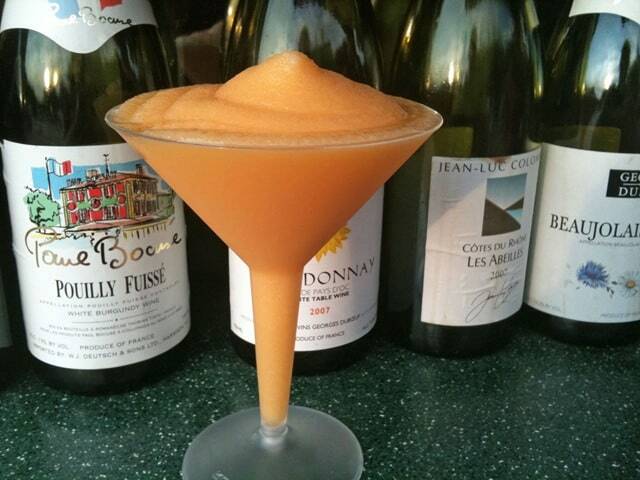 Guests absolutely love the Orange Slush which combines Grand Marnier, Rum, Grey Goose Orange, and orange juice for the perfect cold and refreshing drink to sip while exploring World Showcase. Another popular quick service location in the front of a World Showcase pavilion can be found in the China Pavilion. The Joy of Tea counter service location is always popular and features a selection of small bites and desserts, specialty teas, smoothies, beer, and cocktails. One of the most unique alcoholic beverages served at Joy of Tea is the Tipsy Ducks in Love which features bourbon whisky, coffee, black tea, cream, and chocolate syrup for a bold and unforgettable flavor. Guests who are looking to enjoy delicious Norwegian cuisine while meeting the Disney Princesses should head to the Norway Pavilion in Epcot for an unforgettable experience. Akershus Royal Banquet Hall is open daily for breakfast, lunch, and dinner and guests can meet Disney Princesses such as Snow White and Ariel while enjoying traditional Norwegian flavor. Adults can also sip on delicious beverage options including The Oslo which features strawberries, Crème de Banana, Linie Aquvit, and Vodka. The Canada Pavilion in Epcot’s World Showcase is home to one of the most popular dining locations in the park where reservations for lunch and dinner are hard to come by. Le Cellier Steakhouse invites guests to dine in a cozy area that feels like a wine cellar on steakhouse classics with Canadian flavors. In addition to the mouthwatering food options, guests can also sip on specialty cocktails like the Blueberry Icewine Martini which features Dillon’s Small Batch Vodka, Chateau des Charmes Vidal, and Muddled Blueberries. Guest who spend time wandering through World Showcase have many different full service dining options to choose from including a popular one located in the rear of the Italy Pavilion. Via Napoli Ristorante e Pizzeria is perhaps most well-known for its delicious wood fire pizzas, but it also serves up classic Italian options and unique alcoholic beverages. One popular drink option is the Limonello Mule which combines vodka, orangecello, orange, and pineapple juices served over shaved ice. In addition to the delicious Joy of Tea cart in the China Pavilion, there is also a full service restaurant that guests love to enjoy that serves traditional Chinese cuisine in a beautiful setting. Open daily for lunch and dinner, Nine Dragons Restaurant is a favorite of many guests and features classic menu items such as Honey-Sesame Chicken and Lo Mein in addition to wonderful cocktails. Guests are sure to love sipping on the delicious Shanghai Fusion which combines light rum, cherry brandy, plum wine, grapefruit juice, and pineapple juice for a sweet and sour concoction. Located in the back of the Morocco Pavilion is a wonderful full service dining location that brings the flavors and delicacies of Morocco to life accompanied by live entertainment. Restaurant Marrakesh is open daily for lunch and dinner and allows guests the option to try traditional Moroccan dishes which enjoying belly dancing and more. A specialty cocktail that guests love to sip on while at the restaurant is the Casablanca Sunset which features apricot brandy, orange juice, and cranberry juice topped with peach schnapps. One of the most popular dining locations in all of Epcot can be found nestled on the shores of World Showcase Lagoon at the front of the UK Pavilion. The Rose & Crown Dining Room invites guests to dine on traditional UK pub cuisine and classic beverages while enjoying cozy décor and beautiful views of World Showcase Lagoon. A popular specialty cocktail that guests can order up from the bar is the Welsh Dragon which features peach schnapps, melon liqueur, crème de menthe, orange juice, and pineapple juice all served in a souvenir cup. One of the most unique dining experiences that a guest can enjoy in Epcot can be found at Teppan Edo in the Japan Pavilion. This full service restaurant is open daily for lunch and dinner and features Teppan-yaki-style cooking where a chef prepares the meals on a hot grill located right at the table. While enjoying watching their meals being cooked, guests can sip on the delicious Matcha Frappe which features rum and sake blended with condensed milk and green tea syrup.